At Hale Aircraft, Inc, our ability to test our customer's engines is what really separates us from other repair stations our size. With a 15,000 LB. 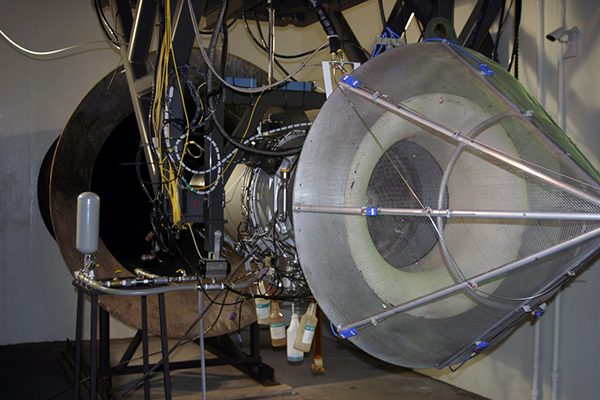 thrust rating, our test cell has been approved by both Pratt & Whitney for the JT15D series and General Electric for the CJ610 and CF700 engine series. As any operator knows, the ability to test an engine for power assurance and vibration analysis prior to installing it on the aircraft plays a crucial role in saving time and money. Our manufacturer trained test cell technicians will make sure your engine is operating at its peak efficiency prior to it's return to service.